The Saskatoon Aden Bowman Bears were due and they were rewarded, according to their head coach. The 5A girls basketball team ground out a tight 65-60 win over the Prince Albert Carlton Crusaders on Friday to earn a spot in the Hoopla gold medal game for a chance at a provincial title. Most recently, the Crusaders won their home tournament on March 3 by beating the Bears in the final game by a score of 55-36. Throughout the game, neither side led by more than eight points at any point during the game. Both teams opened the game by playing tight, disciplined basketball. By halftime, Aden Bowman was up 32-21 on Carlton. 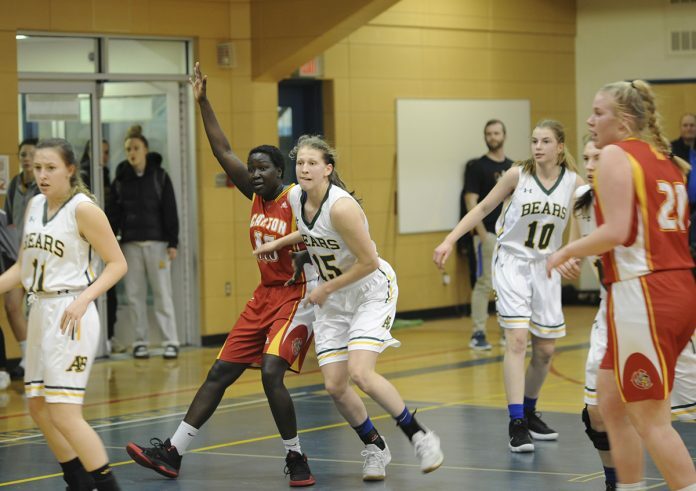 The Bears began to pull away in the third quarter, but the Crusaders kept pace with them, ensuring that the Saskatoon team couldn’t move beyond a one-point lead; the score was 44-43 for the Bears after three quarters. 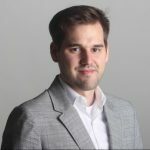 Aden Bowman’s sticky defence also made it difficult for Carlton to go on any point-scoring streaks; when one Crusader managed a hard bucket or a deep three-ball, the Bears stifled any follow-up points from their opponents. 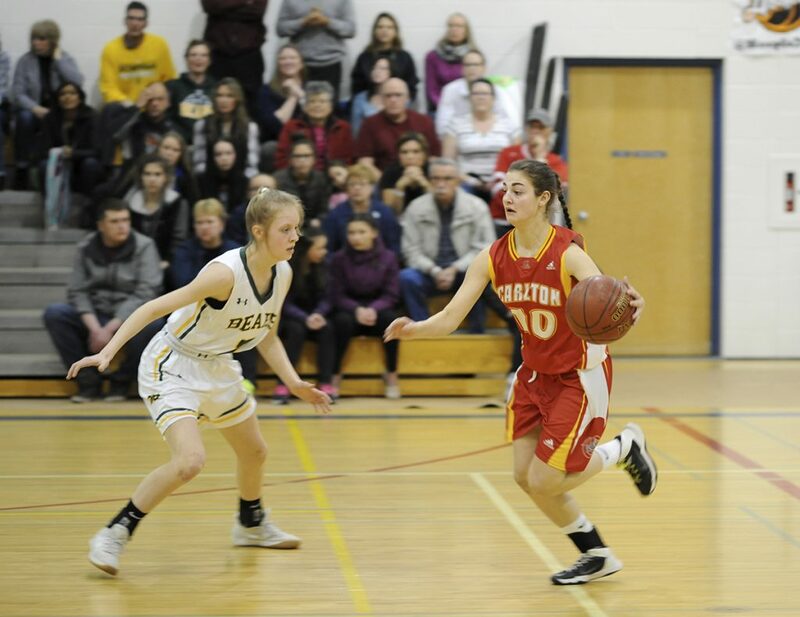 A driving force throughout the game was the play of Bears post Ashley Desousa-Martins. Like Crusaders guard Gage Grassick, Desousa-Martins used her speed and vision to create turnovers for quick-break plays for her team. She also had a nose for rebounds and driving the basket throughout the game. Part of that was due to her team studying game film from that loss to Carlton earlier in the month, she said. Based on the film, the grade 12 student said the plan was to “have less turnovers, score more and go to the rim, like we did tonight.” She finished the game with 16 points. The Crusaders continued to stay in it, keeping the score close until the fourth quarter’s final two minutes, when the Bears pulled away for the win. “I’m proud of the way we held ourselves together, stayed composed and stuck to our game plan,” she said. Carlton now prepares for the bronze medal game, where it will play the Centennial Charges on Saturday afternoon at 3 p.m. at St. Mary high school. The Charges lost their semifinal game on Friday night to the Regina Leboldus Golden Suns 82-63. The Bears will play the Golden Suns for the 5A title on Saturday at 5 p.m. at Carlton high school’s CPAC gym. Next articleLocals highlight SCMA nominations ahead of awards weekend in P.A.